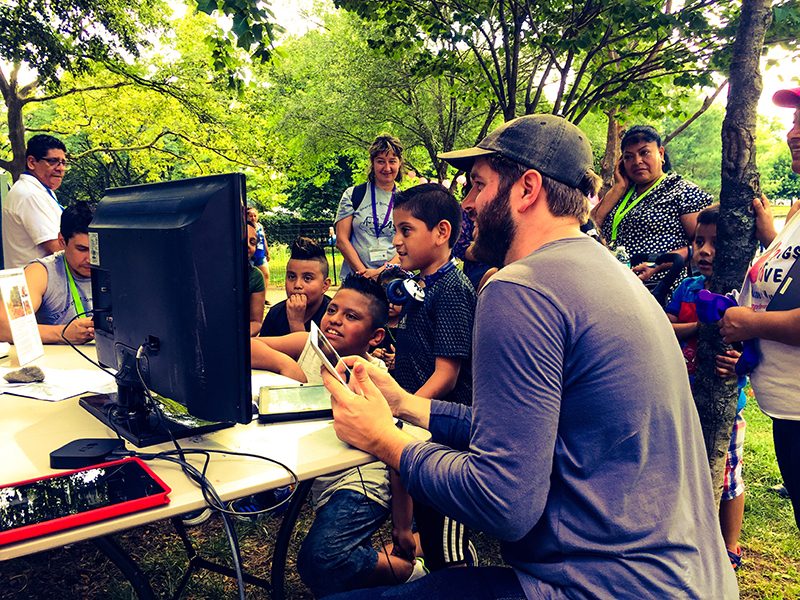 Studio in the Park is a residency program developed by Queens Museum and ArtBuilt which provides an artist or artist collective use of a 150 square foot mobile studio space situated on the lawn between the Museum and the iconic Unisphere in Flushing Meadows Corona Park. Selected artists carry out a public art project over the course of 4-6 weeks. 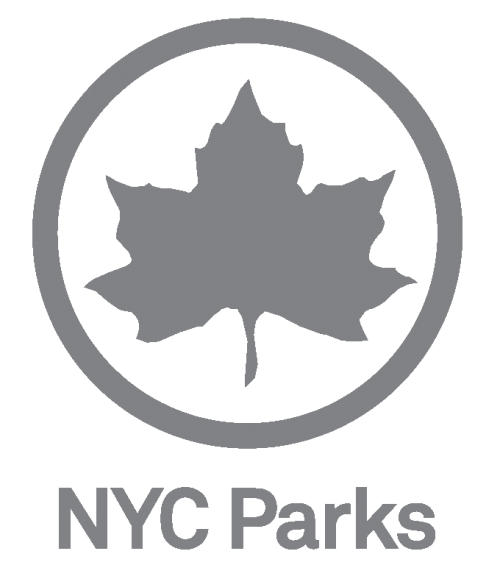 The first resident artist of 2017 will be Eric Magnus who will be working on WHAT IS WILD, an ongoing media art project taking place this summer in Flushing Meadows Corona Park in Queens, an attempt to engage communities of park users in creating and sharing meaningful digital recordings of the nature found in this urban wilderness. What is the wild nature found here in the park? What does wilderness mean in a city, in a place first designed for mass amounts of people to gather at the World’s Fair? A place where nature nevertheless thrives and can be discovered, and whose environment can now provide visitors with a sense of solitude and connection to natural life. Magnus asks these questions of himself and the park goers he engages, along with an invitation to respond by making photos, short videos, or sound recordings in the park using any smartphone or tablet, digital tools more accessible, capable, and at the ready than ever. The mobile studio parked in front of the museum will serve as a media and digital projection lab for the project. There the collected media recordings will be combined into short video essays during sessions open to the public. Instead of just ‘posting’ the results online these videos will be turned into a variety of digital projection experiments, and displayed as a gallery inside and around the studio. Also, these short collective nature videos will be screened before select dates of the Passport Thursdays outdoor film series at Queens Museum. During his residency, Magnus will also be engaging families with special needs in the Museum’s ArtAccess Program. with special attention to how media technology can create inclusion and be a powerful tool of expression and communication, especially for young people with disabilities. Eric Magnus is a theater and media artist based in Brooklyn, NY. Magnus has been a performer and director of theater, having presented work in New York, Belgium and the Czech Republic, and also created art installations using media, and is a video and sound designer for live performance. Magnus was a lead artist in the Dreamroom project in 2015 at the Brooklyn Museum, partnering with YAI ARTS in creating a public studios for a collective of neurodiverse artists interested in working with media. He has been a visiting artist of the Center for Applied Drama and Autism in Akron, Ohio. Magnus holds an MFA from the Performance and Interactive Media Arts program at Brooklyn College. Eric is currently designing video and sound for a large scale media theater project, The Arts, with the company Sponsored By Nobody, which will be presented at LaGuardia Performing Arts Center in Long Island City, Queens in September. • Thursdays July 13, 20, 27, and Aug 3 from 7-8:30pm: Open Studio and Short Screenings prior to the feature presentations during the Queens Museum’s Passport Thursdays International Dance, Music, and Film Series. • Sunday, July 16, 1, 2, and 3pm, Magnus will host a sensory trail workshop in The Playground for All Children as part of the event In Search of Something Special. Studio in the Park at the Queens Museum is made possible by Surdna Foundation, The New York Community Trust, and the Institute for Museum and Library Services. 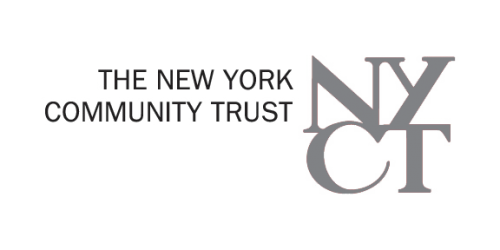 Additional support is provided by the New York City Department of Cultural Affairs and the New York State Council on the Arts with the support of Governor Andrew Cuomo and the New York State Legislature.